Funny Business is the private conversation you always wanted to have with the man at the top. 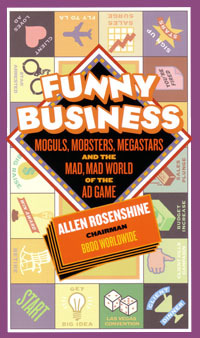 The book includes numerous stories and concentrates less on the rules and strategies of the advertising game, and more about the people who play it, and their unconventional dealings with the world of business. "Honestly, the speaker made a career in advertising sound so attractive that I am considering changing my major."